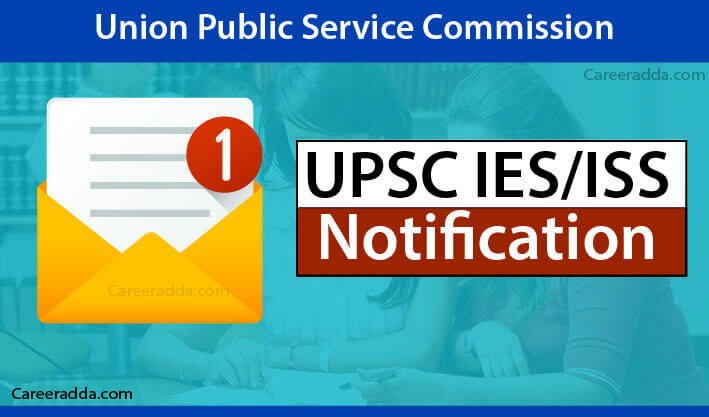 UPSC IES ISS 2019 [Application Form, Syllabus, Exam Date] : IES/ ISS notification 2019 will be released in the month of March and the IES/ISS exam will be conducted by the UPSC for recruiting prospective candidates for Indian Economic services and Indian Statistical Services. IES/ISS Part 1 exam will be conducted from 28th June 2019 and will go on for three days. All the details regarding IES/ISSS 2019 exam, notification, dates, exam pattern, syllabus, etc is given in detail in this article. The IES/ISS official notification 2019 will be released online by UPSC on its official website @ upsc.gov.in . The official notification will be released in the month of March 2019 and the application filling will begin on 20th March 2019 and continues till 16th April 2019. The important dates regarding the ISS/IES exam 2019 is given below. The IES/ISS eligibility criteria with respect to nationality, age and educational qualification has been mentioned below. A person who is from the Indian origin but has migrated from the countries of Pakistan, Burma, Sri Lanka, Kenya, Uganda, Tanzania, Zambia, Ethiopia, Zaire and Vietnam with an intention of permanently settling in India. Note : All candidates who belong to the b, c and d categories need to acquire an ‘Eligibility Certificate’ from the government of India to prove their eligibility. Candidates shall be appointed only after they have presented the eligibility certificated issued by the Indian Government. 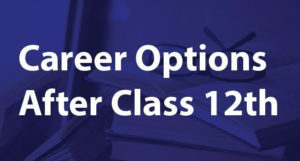 Candidates wishing to appear for the IES/ISS exam must be aged between 21 years and 30 years of age as on 1st August 2019. They must not have been born later than 1st August 1997 and not earlier than 2nd August 1988. However, the commission provides relaxation in the upper age limit for candidates of certain categories. The age limit relaxation is mentioned below. All candidates must note that the UPSC will consider date of birth which has been recorded in the Matriculation Certificate/Higher Secondary Certificate/or any other equivalent certificate. Once candidates have entered the date of birth and submitted the application, no change will be allowed later on. Candidates who are applying for the Indian Economic Services must have obtained a Post graduate degree in Economics/Business economics/Applied economics or Econometrics from a recognized University. Candidates applying for Indian Statistical Service must have either obtained a Bachelor’s degree in Statistics/Applied Statistics/Mathematical Statistics or must have obtained a Post graduate degree in Statistics/Mathematical statistics/Applied statistics from a recognized University. Note : Candidates who are awaiting their results are also eligible to appear for the exam, but will have to submit the proof of their passing along with the copy of the application form after the results of the written exam is released. IES/ISS – How To Apply Online? The detailed method to fill in the application form and submit the application fee is mentioned here. The application procedure involves two stages viz registration followed by fee payment and document uploading. Candidates must first visit the official website of UPSC and click on the link which mentions ‘apply online’ for IES/ISS 2019. The link will redirect the page to the registration corner. Candidates need to click on ‘new user’ and register themselves. The registration process involves entering necessary details such as name, mobile number, valid email ID, age, gender, parent’s name, communication address, date of birth, educational qualification details, etc. After entering all the details click on ‘save and submit’. The details will be submitted and the system will generate a registration ID and password. Candidates must now move on to the next step after registration which is uploading scanned image and signature and payment of the application fee. Enter the registration ID and password that has been generated and proceed towards the next step. Candidates must now click on the fee payment option and proceed towards paying the application fee. Female candidates, SC/ST candidates and candidates with benchmark disability are exempted from fee payment. Candidates can pay their fee by either generating a SBI challan or can also pay their fee online through debit card/credit card/net banking option. Once the fee has been successfully paid, candidates must now select their preference of exam centre from the list of centres appearing on the drop down menu. After selecting the exam centre(s), candidates must now upload the scanned image and signature. The image must not be more than 40 kb and not less than 3 kb in size. The signature must not be less than 1 kb in size. After all the steps have been completed, agree to the declaration that has been given and submit the application form. Candidates can download and keep a copy of their filled in application form. The application fee of IES/ISS 2019 for different candidates has been mentioned below. The UPSC IES/ISS exam pattern 2019 is mentioned in full detail. The exam will be carried out in two parts. Part 1 will be a written exam of 1000 marks and part 2 will be a viva voice exam of 200 marks for all those who have qualified Part 1. The General Studies and General English paper is common for both IES and ISS. For every answer that has been attempted wrongly marks will be deducted. One third mark shall be deducted out of the total marks that has been awarded to the question. 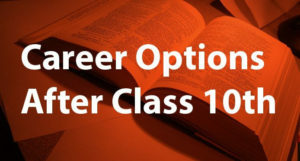 The standard of questions for General English and General Studies will be of the graduate level and for the other papers it will be of Master’s level. The IES/ISS selection procedure 2019 involves a written examination followed by a viva voice and document verification. For candidates appearing in the written exam, the commission will release the answer key and the cut off score. Candidates who meet the cut off score are then considered eligible for the viva voice round. The viva voice round is conducted by the commission to assess the inherent abilities and competence of the candidates. Their knowledge and their skills are put to test in an unbiased manner. The candidate will be tested not just on his academic area of study but he/she will also be tested on matters that are happening around them in and outside the country and also out of their academic arena. The successful candidates are then invited for the document verification round. Candidates who clear all the stages will then be able to locate their names in the final merit list that will be released by the UPSC. All those candidates who make it to the final merit list are then recommended for appointment. The UPSC IES/ISS hall ticket 2019 will be released by the commission on its official website three weeks prior to the commencement of the exam. Candidates need to download their admit card from the website itself. No admit card of any candidate shall be sent by post. How To Download IES ISS Admit Card? Candidates can download the admit card by following these steps. Once the site has been opened, click on the link that mentions ‘hall ticket for IES/ISS 2019’. The page will be redirected to the admit card download page. Candidates must enter the necessary details and click on submit. The admit card will be flashed on the screen. Candidates must go through all the instructions mentioned on the admit card carefully and then download it. The UPSC will release the result of each and every stage separately. The results of the written exam shall be released first followed by the results of the Viva Voice exam. Candidates who clear both the viva and written exam are then called on for the document verification round. After all the stages are successfully conducted, a final merit list is formulated based on the marks scored in both the written exam as well as the viva voice. How To Check IES/ISS Results? Log in to the official website of UPSC. The link will redirect the page to the result. Candidates can look for their names/roll numbers in the result list that has been uploaded and download it for future reference. All those whose name/roll numbers appears on the merit list are then recommended for appointment. The UPSC will release the cut off percentage category wise after the conduction of each stage. The previous year cut off scores category wise as well as stage wise has been mentioned below.